A decorative heart window decal from our collection of heart stickers to decorate your shop front window or any space at home. Are you looking for a loving and colourful design? This decal will create a fantastic atmosphere and will give your place a splendid appearance. 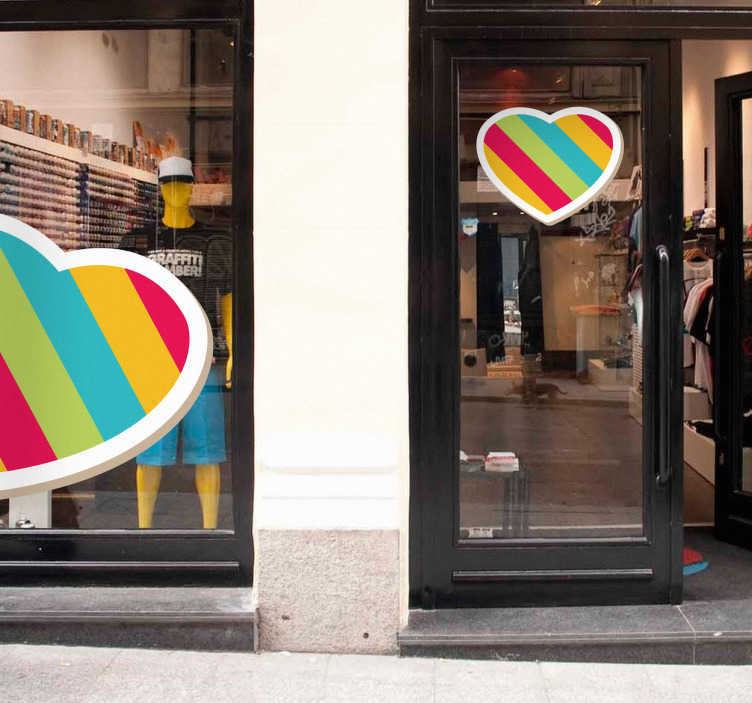 This colourful heart is ideal to give your establishment a new appearance that will attract more clients. Make your shop stand out from the rest! It is super easy to apply and does not leave any residue upon removal.